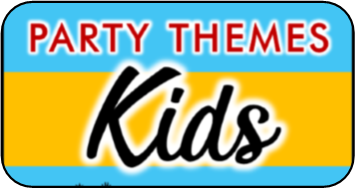 Olympic Party Games & Ideas! 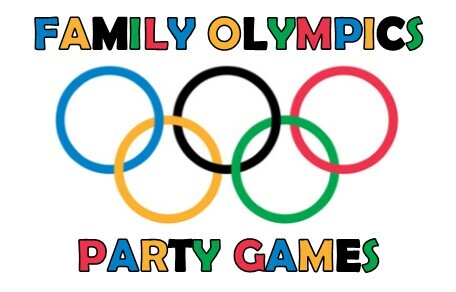 Olympic Party Games - Every year I plan a weekend extravaganza with my extended family. 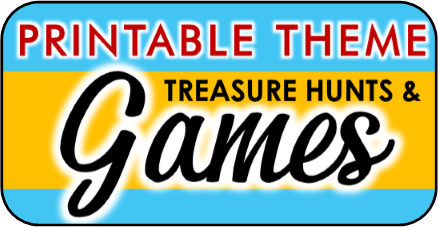 Most of them are adults but the games are not necessarily for that age group. They earned points based on what place they came in and then there was a winning team at the end. Teams have 10 minutes to make up a routine to a song. Then they perform it in front of the group. We did ours outside and the venue had a loft above their garage so we all watched from up there which was really fun because then it looked like the performers were "in the water" but it would be just as fun to see from ground level. I used my daughter's balance beam that lays on the ground and I bought 2 pool noodles. I had a bracket set up where two people would go against each other at a time. They start at the end of the beam, when you say go they come towards each other and try to know each other off. I played best out of three to determine the winner of that round. They would move on in the bracket. You could also use pillows but I thought the pool noodles would be more like "swords". 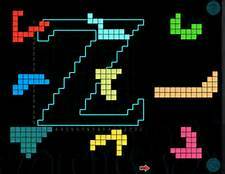 Players were given the outline of a shape and then many different colored shapes that they had to fit inside the outline without any pieces going outside that outline. Whoever finishes first wins. There is an app called Puzzle Grid that gives you some examples. One is shown on right. I used a rocket launcher and teams had two chances to see how close they could get to a hula hoop. Players would mark where their closest shot was and the next team would go. Which ever team was closest in the end won. You could also use Nerf guns or a sling shot. I had about 20 pairs of socks and one team member would have to find all of the pairs. You will also need a timer to see how long it takes each person. I recorded their time and whoever found all of the matches first won. Have an obstacle course set up where they have to jump over things, go through a hula hoop, crawl under something else. Time them to see who can do it the fastest. Even better if you have one of those horses on a stick that they have to "ride" through the course.